Left: The remains of a chamber pot. 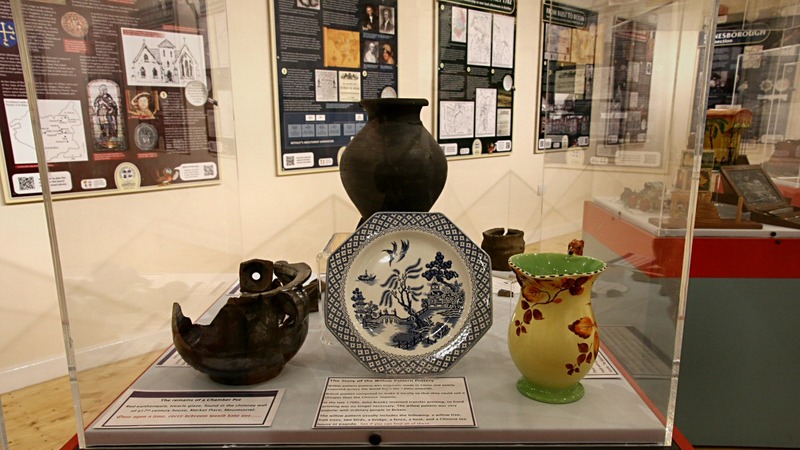 Middle: The story of willow pattern pottery. 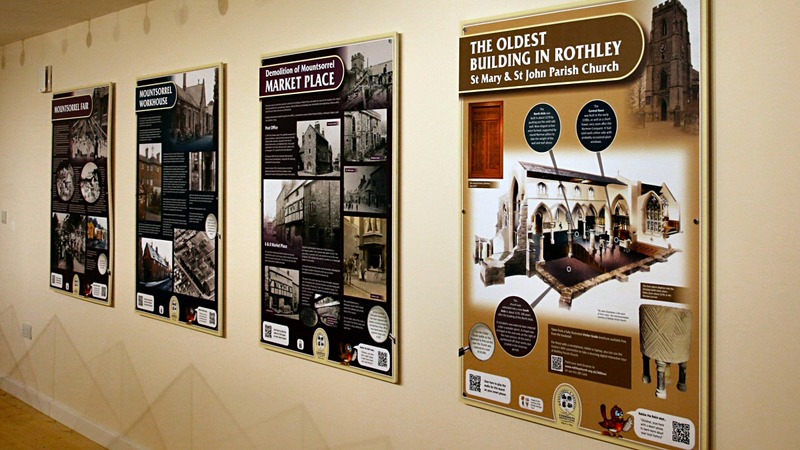 Display Boards: The oldest building in Rothley to Mountsorrel Fair. 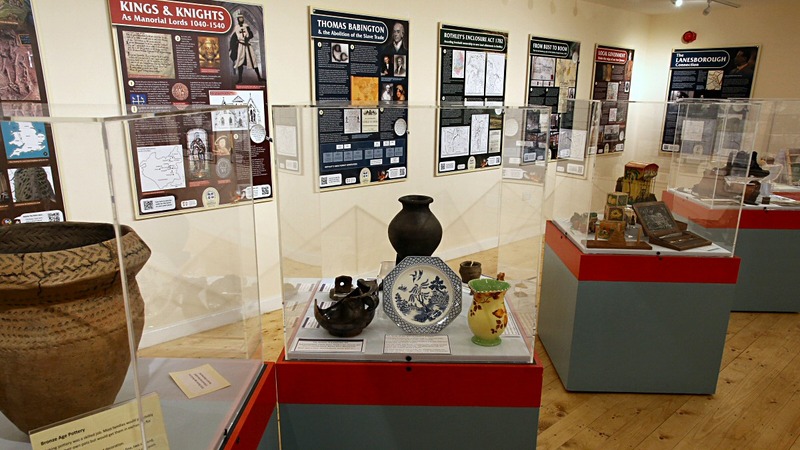 Our heritage rooms are open daily throughout the year from 10am to 5pm. 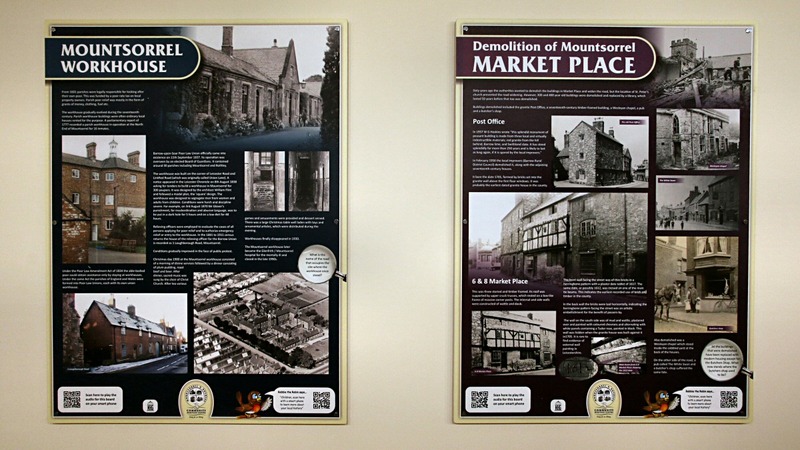 The displays cover two floors, the upstairs room being accessed via stairs and lift. 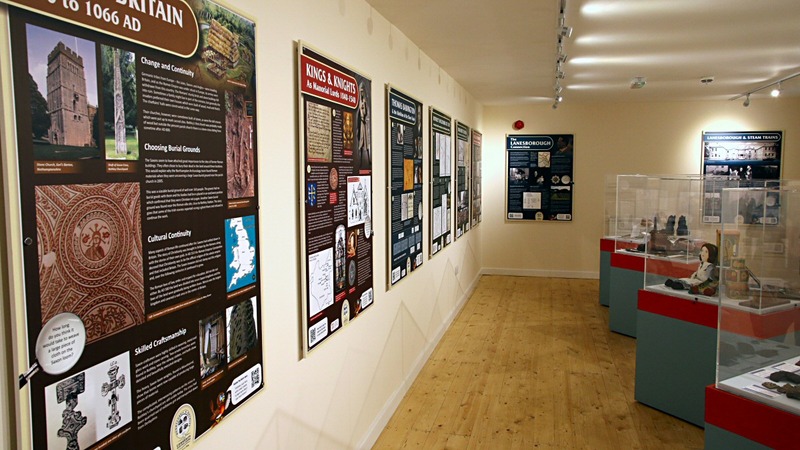 Entry is free so why not take time out to learn a little about the local history. 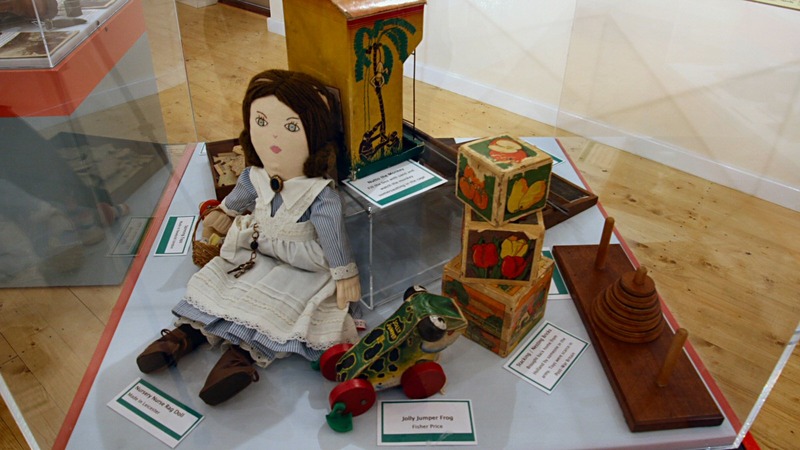 The villages of Mountsorrel and Rothley have such a rich and varied past there is too much to display at one time, so we will be changing the displays at regular intervals. Be sure to pop back from time to time to see what has changed. If you are visually impaired, or have young children, then you can use your mobile or tablet to access additional material. The bar-code on the bottom left of each board will take you to an audio guide for the visually impaired, whilst the bar-code on the bottom right will take you to Robbie the Robin’s video guide for children. Remember to use our free wi-fi. 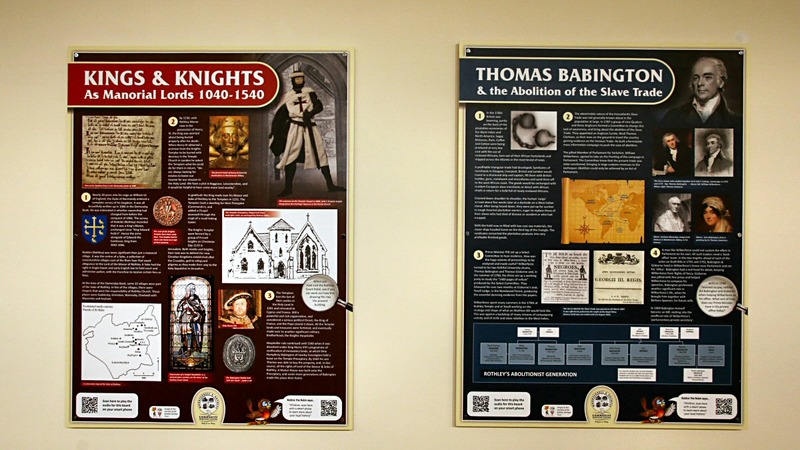 Our heritage rooms are disabled, wheelchair, pushchair, child and baby friendly with free wi-fi throughout. Demolition of Mountsorrel Market Place. The Construction of Mountsorrel Castle Hill War Memorial. The Unveiling of Mountsorrel Castle Hill War Memorial. Bronze Age Burials: 1400BC to 500BC. Kings and Knights as manorial Lords. Thomas Babington and the Abolition of the Slave Trade. From Bust to Boom: The forced break-up sale of the Rothley Temple Estate. Churches, Chapels and Meeting Houses in Rothley. Cruck Cottages, Four of Rothley’s Finest. Local Government under the reign of our two Queens. Saxon Britain: AD419 to 1066.